Great Place for Families! Close to the pools, restaurant, etc. Bernard's Landing is a great place for family reunions! Plan yours now for 2017! 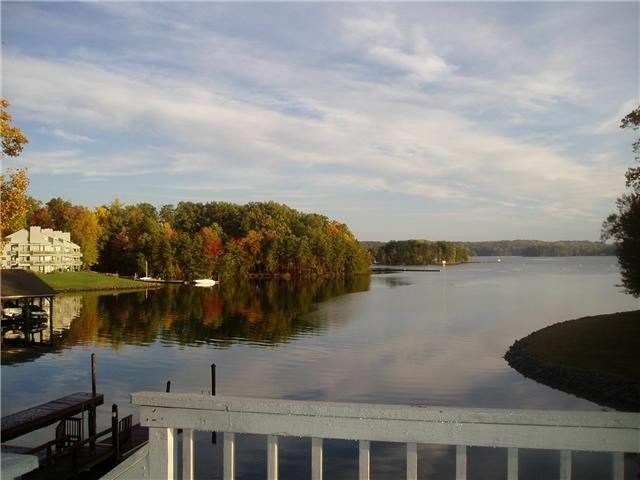 For Booking this property, you need to Call Carol at 540 420 0584. Many other rentals available near this one! The larger homes like this one book early. 2 outdoor pools, indoor pool, workout room, Pickle Ball courts, tennis courts, racquetball courts, bar, restaurant, store. At the Clubhouse across the street. 6 at the large table, 4 barstools, 3 at the round table in sunroom, and 4 on the deck. The house was the perfect size, nicely equipped and a beautiful location. The facilities were wonderful, boat ramp, courts, pools and spa, we used it all. We enjoyed the house, kitchen well stocked, plenty of seating, we enjoyed both decks. Some very minor comments, with the bath soap maybe supply small shampoo’s, very minor. The pool table was great but needs some tlc , chalk was missing, some parts missing on cues and table, slider downstairs needs replacement. Again very minor comments we thoroughly enjoyed your place and the lake! This family did not stay in Hollywood at the Lake. That home does not have a pool table. But it was interesting to read the comments. the owner is currently in Hollywood at the lake. Beautiful villa - My family loved it! Lots of space and great furnishings! The view is fabulous! We would love to come back next summer! Love this townhome!!! And our agent Carol! The Hollywood townhome was perfect. Clean, comfortable beautifully decorated and the views were breathtaking. We sat on the upper level deck and watched the boats go by and then gazzed in awe as the black sky filled up with stars! (think we found the big dipper, and we both saw a shooting star) A big plus was the game table and private grill on the ground floor. We enjoyed some soft blues music filet mignon and grilled vegies under the moonlight overlooking the water in total privacy! This is by far our favorite vacation home now. Renting through Carol is a pleasure. She treats you more like family than a customer! If we could give this more than 5 stars we would! Try this one, you will love it! Be ready to make a wish on one of those shooting stars Im sure youll see some! This home is always a favorite with guests at Bernard's Landing. It has nice furnishings and housewares, very easy to make it your home away from home. I love it when people come to the lake and really enjoy it. Making Wonderful Memories is what it is all about....A Vacation here may only last a few days.......but the memories of the experience will last a lifetime.